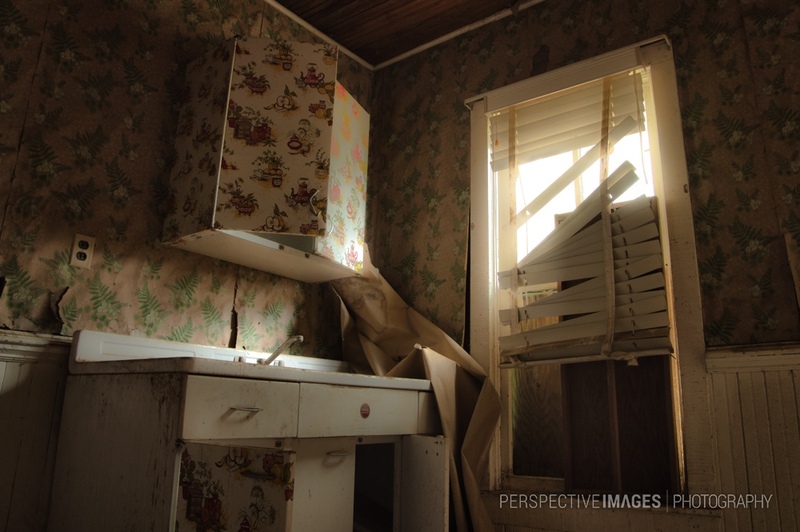 Broken blinds and boarded windows block out the light in what once a well cared for house. Central City was founded with discovery of gold in 1859 but went into rapid decline in the early 1900’s when the gold veins were exhausted. The town underwent a brief revival in the 1930’s due to higher gold prices but WWII virtually shut the town down when gold mining was declared nonessential. I’ve seen this pattern of closure caused by the war across the country in many gold mining districts. The 1950’s again brought a boom when prospectors searched for Uranium to fuel the new atomic age. The house in this photo is likely from that generation – the Uranium hunt proved unsuccessful and properties across the region were again left to neglect and abandonment.